Gordon Jeffery loved music and contributed much to the London Ontario musical community. He was a lawyer, organist, and conductor, born in London, Ontario on the 15th of July 1919, and died in London on the 4th of August 1986. 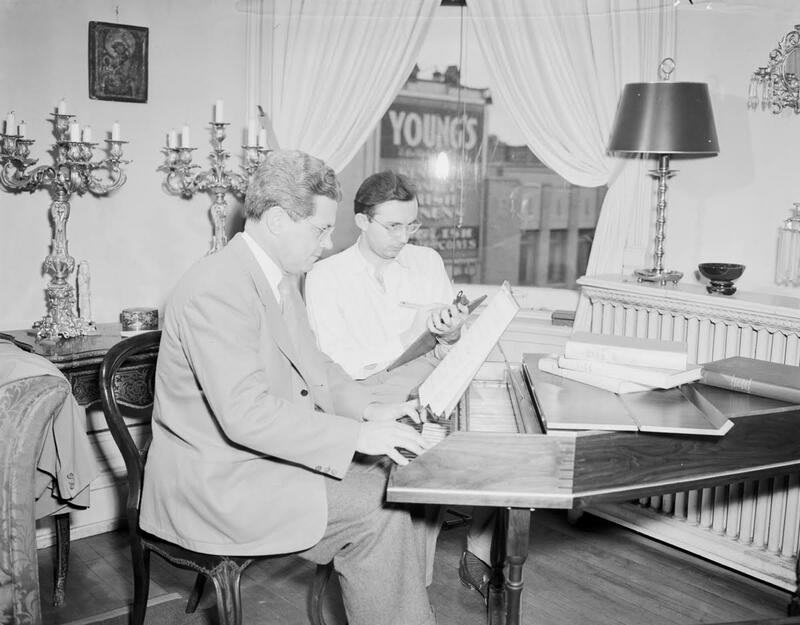 On admission to the bar in 1942 Gordon entered the family's law firm, Jeffery & Jeffery, in London, Ontario. He served as part-time organist with St. Peter’s Cathedral. In 1947 Gordon purchased the abandoned 65-year-old Beecher United Church, renaming it Aeolian Hall. Aeolian Hall was the home of several projects, including concerts by the London Chamber Orchestra (founded in 1945 and conducted by Gordon) and the Aeolian Choral Society (founded 1949) and sessions of the London School of Church Music (begun in 1950). In 1968 the hall was destroyed by an arsonist. Shortly thereafter Gordon purchased the former London Town Hall, renamed it The Aeolian Town Hall, and renovated it in the style of a baroque church. 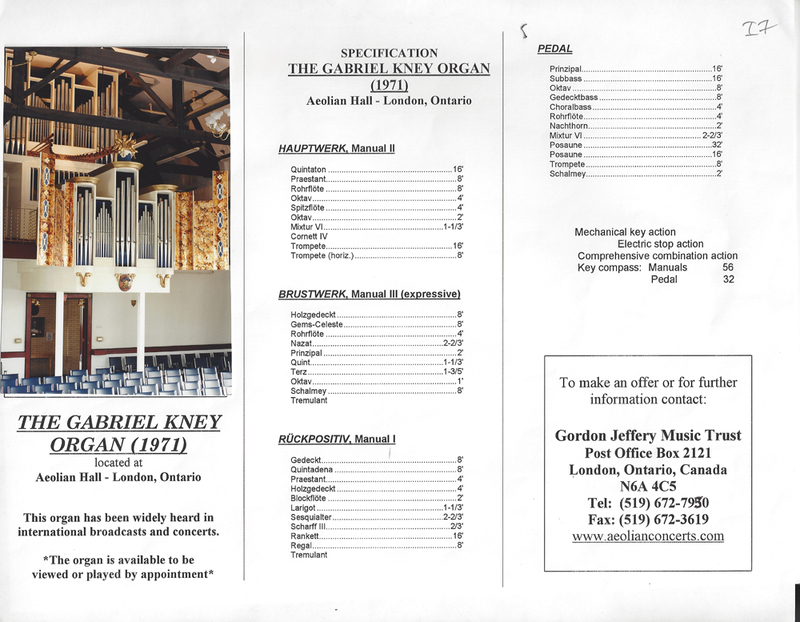 As a benefactor Gordon made significant contributions of choral, orchestral and organ music collections to the faculties of University of Windsor, University of Western Ontario, and Wilfrid Laurier University. He owned a number of excellent string instruments, including two violins by Stradivarius and one by Guarnerius, which he lent to promising young performers. The instruments were donated to the Faculty of Music String Instrument Bank at the University of Western Ontario. 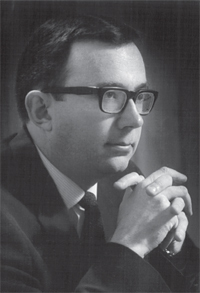 Gordon was an avid student of baroque and classical performance practices, and displayed stylistic integrity in his orchestral programs, performances of oratorios and operas (which continued at The Aeolian Town Hall throughout the 1970s), and organ recitals, both in London, Ontario, and in Toronto. 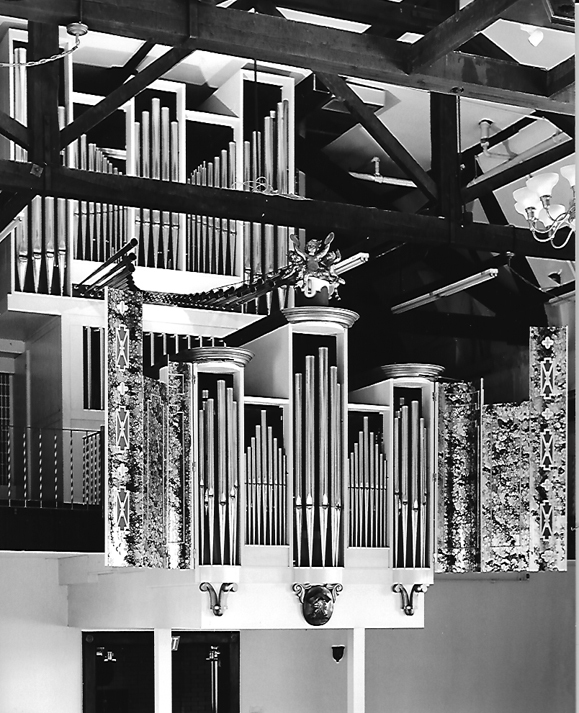 He helped plan, and gave a recital at, the International Congress of Organists in London, England, in 1957. He appeared frequently as a recitalist in Europe during the 1950s and recorded two Mozart organ sonatas and a concerto by Handel during the International Congress. The Gordon Jeffery Music Foundation continues his legacy of musical excellence in London Ontario.